MagTek MICRImage - RS-232 interface, 200 dpi image resolution, Include Internal Modem and No Magnetic Stripe Reader, Requires Power supply and Cable. The MICRImage Check Reader is a highly accurate and dependable check reader and imager. Image checks and read MICR characters in one pass. Read and image checks, deposit, withdrawal slips and other transaction documents. Supports dual interfaces. Cover slides open for easy-access maintenance. Reads E13-B and CMC-7 MICR fonts. USB interface cable, 6 ft. for MiniMICR. Pricing is for the cable when purchased alone. If you are also purchasing the MiniMICR unit, please purchase (Part# 22517583). 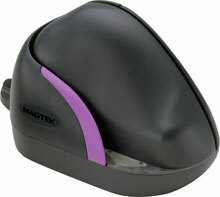 The MagTek 22410006 is also known as Mag-Tek	MAG-22410006	.